I had always been an athlete in school and so, I wanted to join the gym and eat healthier to lose the baby weight to be more athletic like before. After seeing results, people became interested in what I was doing, so I shared my story. This lead to something amazing! People started seeing results too! I have always loved helping others and I support a healthy lifestyle – so it was natural that I wanted to be a fitness trainer. I am a certified personal trainer through International Sports Sciences Association and CPR certified by American Red Cross. I have 5 years working in all corners of the fitness industry as well as experience competing in OCB bodybuilding. 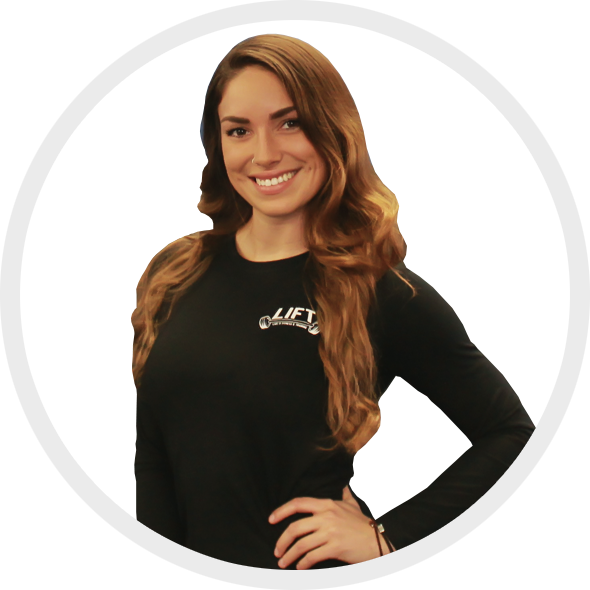 My training experience specializes weight loss, strength and conditioning, sports nutrition, youth training, and general fitness. I am currently in college studying Nutritional Sciences. You will find long-term success with your fitness goals by having the right tools and guidance. Being consistent a finding purpose behind your everyday activity is what matters. Having a coach who will positively direct and push you through those tough moments is what I am here to do.